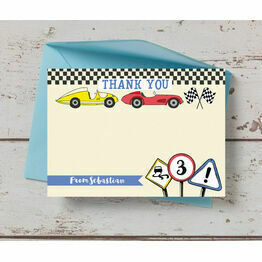 If your little one is into their cars, our range of Racing Car birthday stationery is the perfect choice. 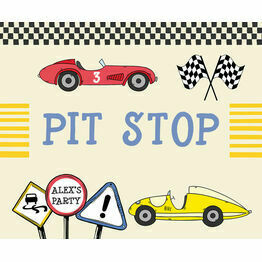 Including birthday invites, party signs and thank you cards, each one can be personalised online to include all of the key details. 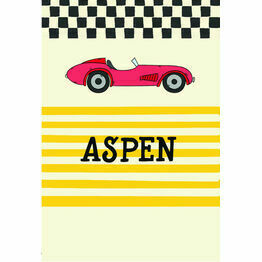 Then choose to receive a printable PDF or have your items printed and delivered to your door.